I wish I could tell you that our first night in Lima was a restful one, but that would be a lie. If you’ve read the About section in this yonder blog, you already know that I will only lie about two things: my name and the fact that the monkey does not make across the gap. The glorious reason why the wife and I did not sleep well on our inaugural noche is because one of our neighbors (I was never sure which one because sound waves echo and bounce around like pachinko balls with all the brick and concrete that make up the houses around here) was holding a dance party / rave / sound system demonstration that lasted until (I kid thee not) 6:00am. Lima is a noisy place…Noise abatement laws vary slightly depending on the part of the city, but all are extremely weak. At night, there are established quiet hours after which there is supposed to be no noise, but fines are reportedly so light that organizers are happy to pay them in order to continue the party. If this is what every weekend (or Heaven forbid…every night) holds for us, this is going to be a long (and tiring) ### years. …hinged planes of glass that also, when “closed”, do not form a complete seal. Here…look for yourself (and marvel at my ability to post an image into a blog…tremble, darn it!). These panes of glass are, to me, malfunctioning windows [insert your own Bill Gates / Microsoft joke here]. These “holes in the wall covered by glass” would never work in the climes of Northern Virginia (from whence the family and I came) because it gets cold in the winter, hot in the summer, and these types of ventanas would let all the good temperature out and the wrong climate in. 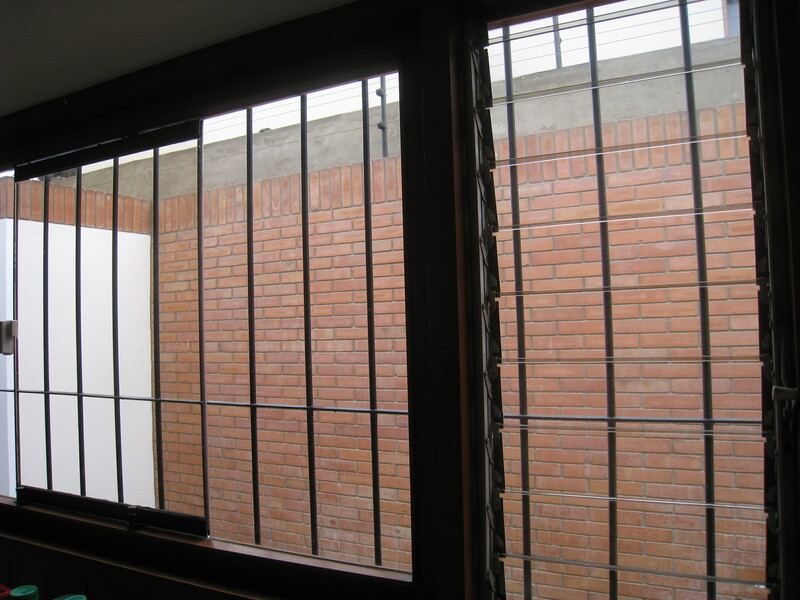 However, here in Peru, where the mercury rarely dips below 60 or travels north of 80, the concept of insulation is not known to the Peruvian home-builder (and here I invoke Disclaimer No. 1). When the music finally stopped and we are able to grab a few hours of sleep, we awoke on Saturday and tackled our first decision of the day…what to have for breakfast. Now, if this was some foodie-and-travel blog, I would tell you what we had, how to prepare it, and even post some FAB photos of it complete with creative lighting and maybe even a well-placed fork. This is not that type of blog so I am moving on to the post-meal activity and my first shocking discovery about the life that awaits me in Peru. After the meal, I begin my task of clearing the table and carting the dirty dishes and silverware to the sink to begin the process of lightly dusting them water and placing them in the dishwasher. I said…”placing them in the dishwasher”…but THERE IS NO DISHWASHER! Yes, the dishes would have to be done the old-fashioned way. It has been a long time since I have washed dishes by hand. In fact, the time frame I’m speaking of is “never”. I have always had a dishwasher in the kitchen, even in the run-down building posing as an apartment I rented when I was a senior in college, so I had no idea how to do this. Learn something new every day, I do. With that situation resolved, it was time to go from washing the dishes to washing ourselves with a refreshing shower, but that’s a story I can dish out later. Posted on August 19, 2011, in Difference, Peru and tagged Ann B. Davis, Barbara Billingsley, chores, dishwashing, garbage, garbage disposal, Lima, maid, Marla Gibbs, Peru, plastic bag, rave, sleep, windows. Bookmark the permalink. 10 Comments. 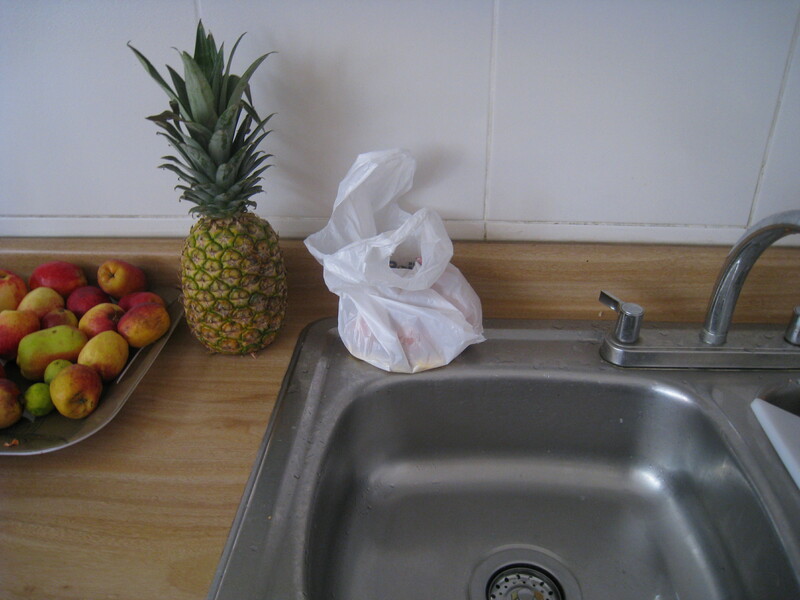 Garbage disposals are cheap and easy to install. The question is, are you allowed to put it in. Hadn’t thought about it that. It’s not technically our house, but there’s no harm in asking.